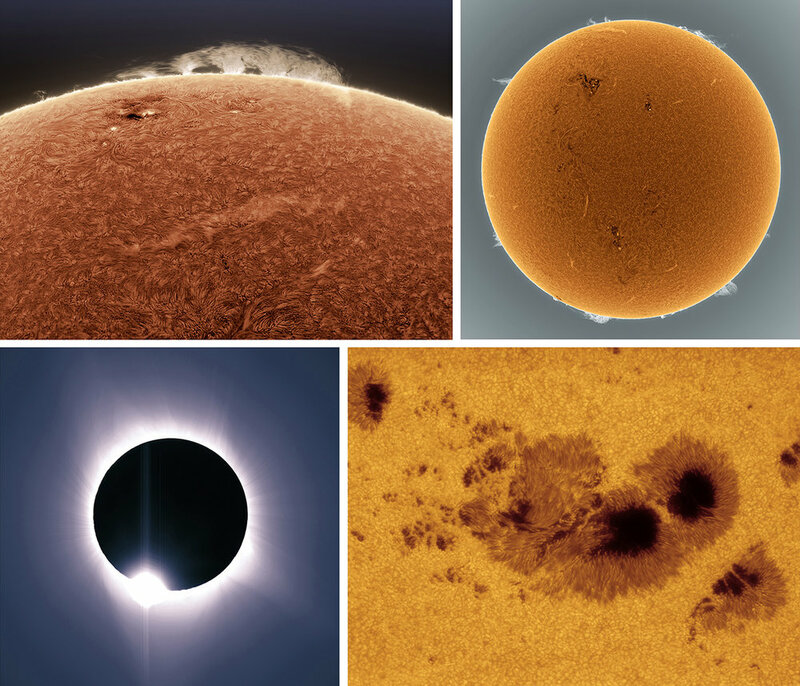 Welcome to AvertedImagination, a gallery of solar astrophotography by Alan Friedman. Working with small telescopes and specialized filters from his backyard observatory in Buffalo, NY, Alan creates portraits of our neighborhood star that have been published frequently on NASA's Astronomy Picture of the Day (APOD), featured in a TEDx talk, in films, publication and in gallery exhibitions. Shown here is a collection of favorite recent works. All images in these galleries link through to larger more detailed versions on avertedimagination.com. There you will find notes on the capture data, the equipment used and links to additional information about the story of our sun. You can view older work on the legacy site here. Please enjoy the journey. All photographs featured on these pages are copyrighted works and may not be reproduced without permission from the artist.